• Eat a healthy meal before any event where you know you’re going to be tempted by holiday treats. Start in a wide stance with your legs and feet parallel. Shift your body weight towards the cable and bend the knee closest to the cable while keeping the opposite leg straight. Make sure you are in a nice straight line from head to tail. 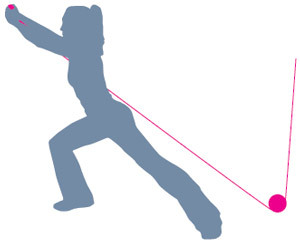 As you exhale, you are going to transfer your weight to the opposite leg as you simultaneously pull the cable across your body on a high diagonal—as you raise and rotate the torso. You should then end with the opposite leg bent and the starting leg straight so you have one long line from your leg to your hand. To repeat, transfer the weight back, rotate, and hinge at the torso to the starting position. Perform 15-20 reps on each side. 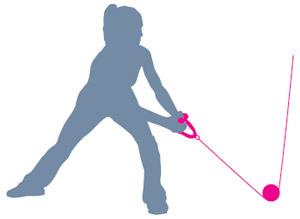 Start in a staggered stance position with one leg forward and the other leg back. Align the cable directly in front of your chest. As you inhale, bend both knees keeping the spine as neutral and straight as possible, with the arms straight and extended out in front of your body. Then as you exhale, straighten your legs and pull your elbows in towards your ribcage as you glide your shoulder blades together. Repeat 15-20 reps on each leg. Make sure your hands are secure on the outside ridge of the Bosu and align your shoulders over your hips with your legs stretched out directly underneath your hips. Your body should be in one long dart position from head to toe. If you need to modify, lower your knees down and make sure your hips are reaching towards the floor with your abdominals engaged. You are going to inhale and lower yourself down until you have a fist length between your chest and the Bosu. As you exhale, you will extend your arms and straighten your elbows. Perform 15- 20 reps.